Editor's Note: This 1965 Shelby GT350 R Mustang will cross the RM Auctions block on May 2, 2015 as part of the Andrews Collection sale. We think the famous race car will garner mucho dinero. Thank you RM Auctions for permitting Monterey Car Week to publish the story and the studio photography. Est. 325 hp, 289 cu in V-8 engine, four-speed manual transmission, independent front suspension with coil springs, live axle rear suspension with leaf springs, and front disc and rear drum brakes. Wheelbase: 108 in. What would become SFM 5R108 arrived at Shelby’s facilities in Los Angeles on December 18, 1964, in the form of a fastback “K-Code” Mustang. According to the SAAC Shelby Registry, work began on the Mustang on March 1, 1965, and it would take over six months to convert it into one of the 36 Shelby GT350 Rs. In August of that year, it was shipped to Dearborn to be tested by Ford, under the care of Bill Humphries, and then, a week and a half later, it returned to Southern California. This car was the last R-Model to be finished during the first round of production, and once it was fully complete, it was shipped to Gene Hamon Ford, on September 22, 1965. 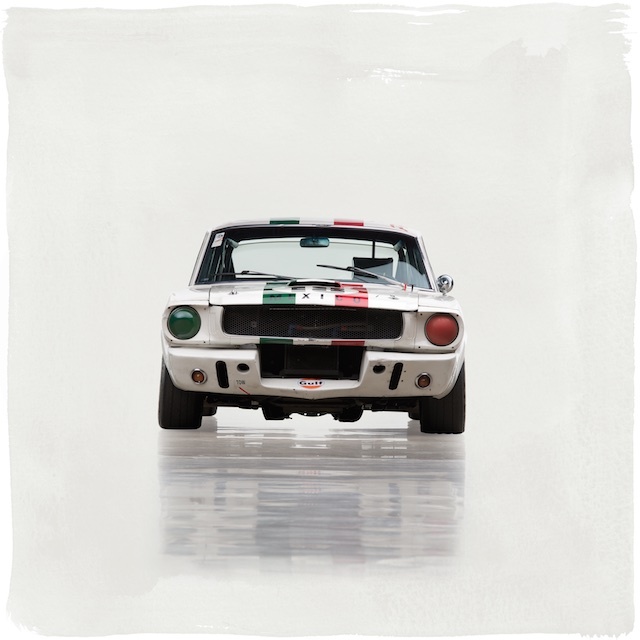 In February 1966, at the Southern Polar Prix at Green Valley Raceway in Smithfield, Texas, 5R108 took to the track with noted grand prix and sports car racer Pedro Rodriguez behind the wheel, and there, it went up against Jerry Titus in the factory prototype Shelby GT350 R, chassis 5R002. As noted in the SAAC Shelby Registry, Bill Steele was supposed to drive for Gene Hamon but refused, stating that he was intimidated by the car. Hamon asked Rodriguez if he could handle the car, and “Rodriguez replied in broken English, ‘Si, I win,’” and sure enough, he did. Rodriguez handedly trounced Titus and the factory prototype, even finishing in front of a competition-spec 289 Cobra driven by Al Goldman, proving not only Rodriguez’s skill behind the wheel but also the ferocity of the GT350 R in the hands of a skilled driver. Chassis 5R108 was purchased from Gene Hamon Ford by noted racing driver Freddy van Buren, of Mexico City, Mexico, who immediately got to work preparing the Shelby for track use. 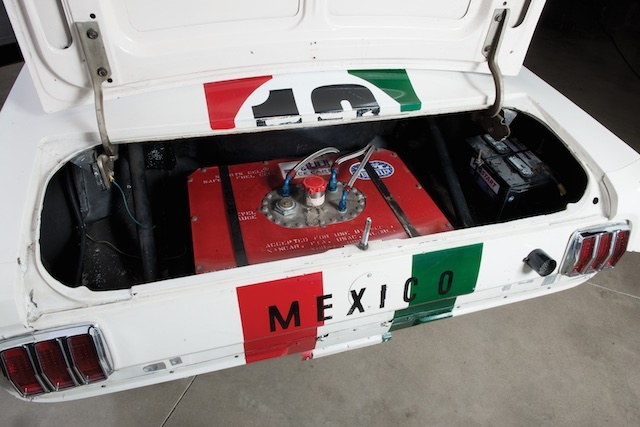 Fittingly, van Buren decided to have the car finished in Mexican racing livery, and as such, the original Shelby white and blue stripes were replaced with red, white, and green stripes that went down the center of its body. With van Buren behind the wheel, the Shelby GT350 R handedly won the SCCA Southwest Division title in 1966, after racing at San Antonio, Smithfield, Galveston, Baton Rouge, Austin and Wichita. Furthermore, van Buren finished 3rd in the AARC races at Riverside that same year. For the first outing of the 1967 season, the daunting 24 Hours of Daytona, van Buren was joined behind the wheel by Paul Jett and Don Pike. Unfortunately, the trio was forced to retire after 313 laps and 14.5 hours into the race due to a blown engine. At that time, 5R108 was running an impressive 7th overall and 1st in class. Van Buren was looking for a better result at the 12 Hours of Sebring the following month, and the Shelby GT350 R did not disappoint. With van Buren behind the wheel, 5R108 went on to finish 16th overall and win its class, which was a spectacular result for a privately entered customer car in a very hotly contested race. The Shelby competed once again in SCCA competition, at many of the same venues it ran in 1966, and it would go on to take the 1967 B-Production Championship at Daytona in the SCCA run-offs. As a result of its successful 1966 and 1967 seasons, SFM 5R108 saw lots of press, being featured in Car & Driver’s racing annual for 1968 and appearing in ads for Champion Spark Plugs and Amaline oil in Sportscar magazine. The car passed through Donald Hallmark, of Houston, Texas, before being sold to Sidney Finkel, of Pittsburgh. Finkel continued to race the car, campaigning it at Marlboro in 1968 and 1969 and Cumberland in 1971. It was raced once more by Finkel in 1972. Additionally, the car was also driven by John Norris, Finkel’s associate and mechanic, in 1971, and it was also driven twice by Walter G. Hannig during this time. Norris finished in 4th place in the Northeast Division of the SCCA in 1971. Following an invitation to the ARRC at Road Atlanta as an alternate, this would mark the end of SFM 5R108’s period racing career. 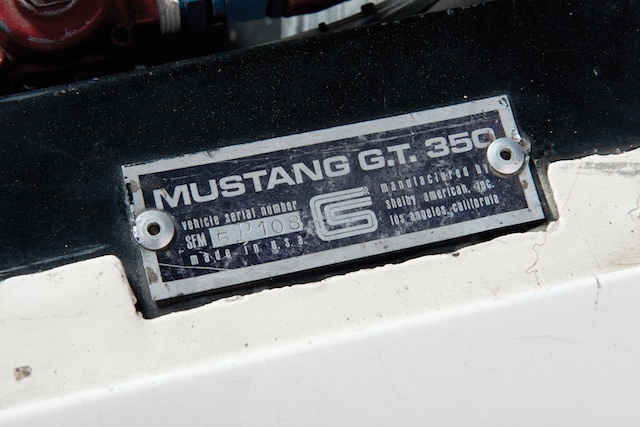 In 1972, the Shelby GT350 R was put into storage by Finkel, and it remained there for the next 10 years, until it was discovered and subsequently purchased by Bill Maney and Lee Wilmot, of Fayetteville and Roswell, Georgia. 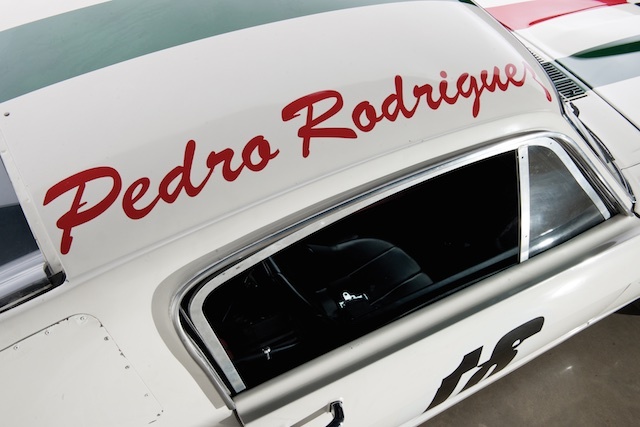 In their custody, the car was restored to its 1967 championship-winning appearance and distinctive Mexican livery prior to SAAC-8 at Dearborn in July 1983, where it was run up to speed at Ford’s proving grounds. 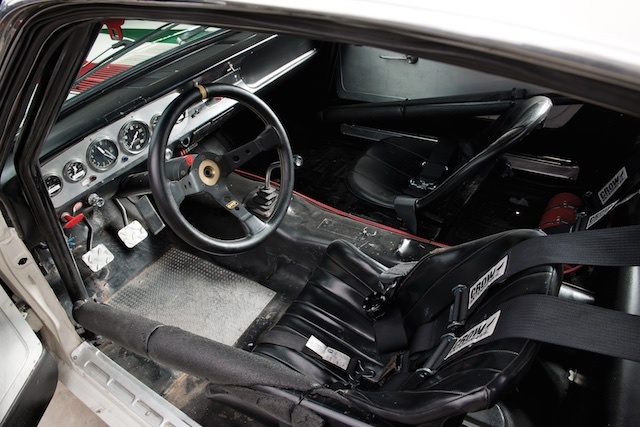 Afterwards, the GT350 R was purchased by Fernando Lozano, of Jamul, California, who used the car in vintage racing events in his native California over the next few years. Lozano sold SFM 5R108 to Richard Rothenberger, of Mohrsville, Pennsylvania, who also continued to vintage race the car, primarily at events at Pocono Raceway and Watkins Glen in 1989 and 1990. The Shelby would return to California, where it would pass through two subsequent owners before being purchased by a gentleman in England. 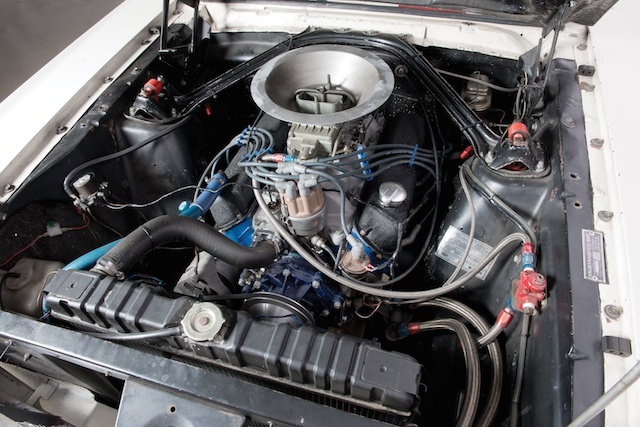 This European owner had the car’s 289-cubic inch engine rebuilt to FIA specifications and campaigned it at a number of European tracks, including Castle Combe, Silverstone, Oulton Park, and Spa-Francorchamps. 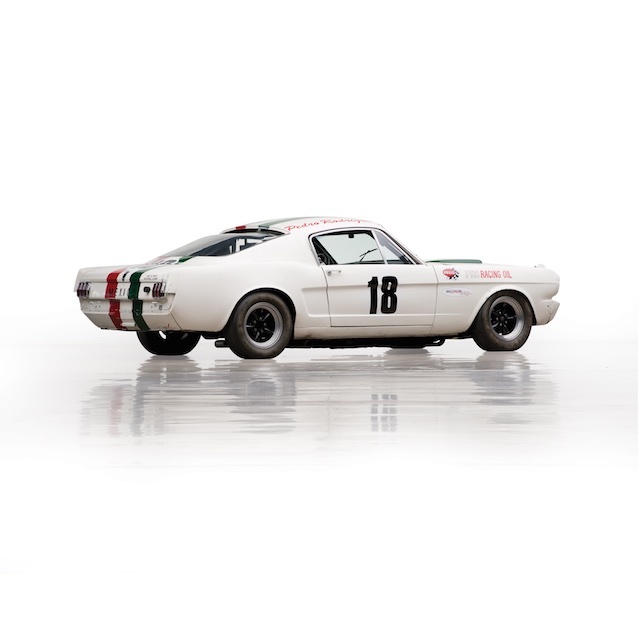 Off the track, this Shelby-Ford Mustang has been featured in a number of publications, including Vintage Racecar, Autocollezioni, and Classic Cars. Additionally, it was also driven by Alain de Cadenet in the “Ford Muscle” episode of the Victory by Design series. After its stint in England, 5R108 returned to California, and in 2011, it was purchased for the Andrews Collection. Today, the Shelby GT350 R is a favorite of historic racers, as it combines reliability with American muscle, which makes for a highly competent race car. 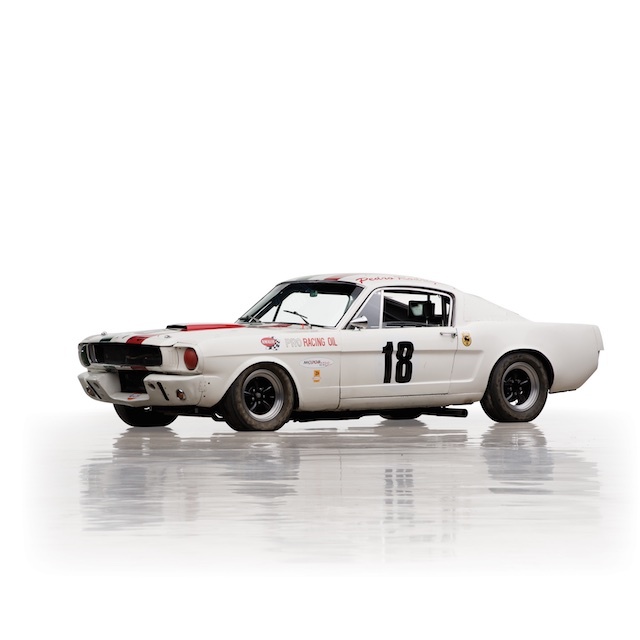 Chassis SFM 5R108’s incredible period racing history, which includes a class win at Sebring and two championship-winning seasons, makes it one of the most desirable Shelby Mustangs in existence. It begs to be returned to the track with is next owner, and there is no doubt that its unique history and period-correct livery will always be a topic of conversation wherever it goes. Hi there I am so excited I found your weblog, I really found you by mistake, while I was browsing on Yahoo for something else, Anyways I am here now and would just like to say cheers for a tremendous post and a all round thrilling blog (I also love the theme/design), I don't have time to browse it all at the moment but I have bookmarked it and also included your RSS feeds, so when I have time I will be back to read much more, Please do keep up the superb work. Hello, Thank you for the kind words about our website. If you're a fan of Shelby Mustangs and Shelby Cobras, there are plenty great articles here to entertain you. Here's a sweet '66 Shelby Mustang GT 350 Hertz race car. 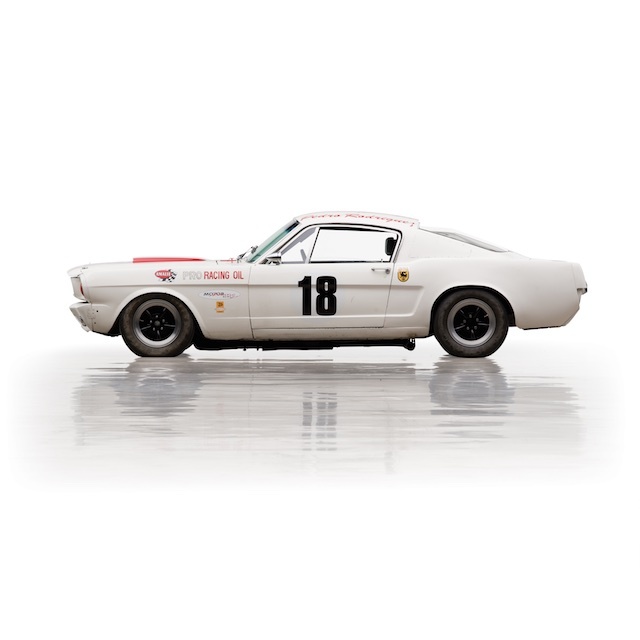 Check it out: https://montereycarweek.net/uncategorized/1966-mustang-shelby-gt350-hertz-race-car/.